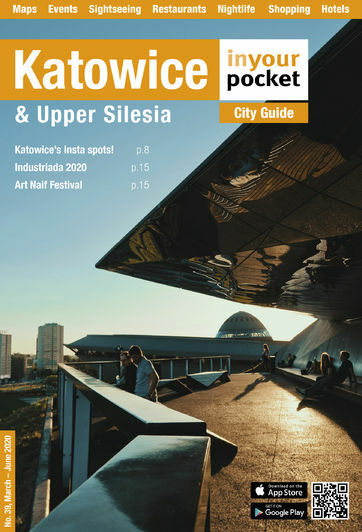 Katowice’s nightlife is improving steadily, with more and more bars and clubs opening that hold themselves to a higher creative standard. While there was a time when a Saturday night on the town felt like creeping quietly through a cemetery, that has all changed in a hurry with the emergence of ul. Mariacka as the city’s nightlife headquarters. A pedestrianised three-block stretch that was once all strip clubs and shady gay saunas (ok, those are still there), the city has put a lot of energy into cleaning it up and turning it into the high street it should be. Despite some dreadful urban design decisions including ugly, uncomfortable benches and strange sculptures, the city is finally seeing results with a plethora of restaurants, cafes, cocktail bars and clubs moving in to give the city centre some buzz. In summer, Mariacka is full of outdoor seating and flooded with people, but there are plenty of other hedonist hideouts to discover elsewhere with the help of this guide. The opening hours we list are flexible; basically if people are drinking, the barman is pouring.